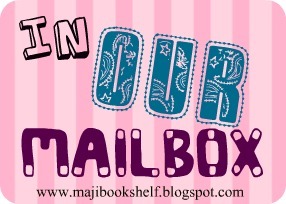 In My Mailbox (IMM) is a weekly meme hosted by Kristi @ The Story Siren. In this post you just show all the books, and any book related items you have either bought, borrowed, won, or was gifted for the past week. Every single one of these books is awesome! Especially Legend and the Cassandra Clare books. I hope that you guys enjoy them all! Wow that is a great haul! enjoy all your great books. I really like the cover of Legend you got. I have the U.S. version and it's not as pretty as the one you have. Great Haul. Fateful is one of my favs this year...the UK cover is my fav though. Hope you enjoy it. Lol pretty much all of the books you both got are books that are sitting on my shelf waiting to be read. So if you think you are the only one to have not yet read Unearthly you are wrong because I haven't read it yet! !